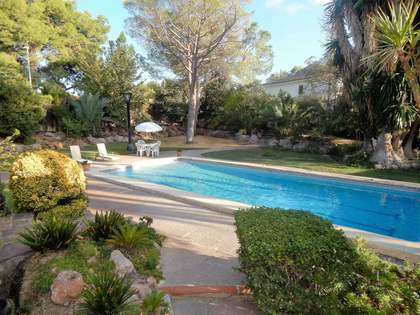 Elegant renovated villa for sale in the best area of La Eliana. 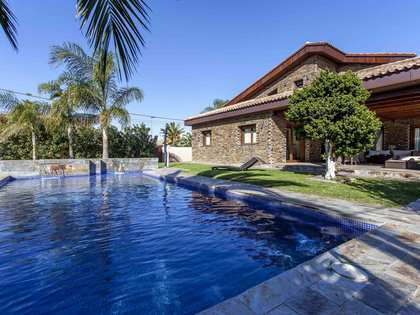 In one of the most privileged areas near Valencia, the municipality of La Eliana, we have a unique property, completely renovated with style and elegance. A modern construction villa which has used excellent materials for a touch of distinction and warmth. On the first floor is a double height living room with 2 different areas and a beautiful fireplace that gives a special touch to the home. Cream marble floors combined with wood give adequate light to the property and there is a fully integrated kitchen with modern island, utility area and gallery. The living room has an integrated decorative division that offers a separate apartment, consisting of 2 bedrooms with 1 bathroom, living room and kitchen. A decorative sculptural staircase leads to the second floor where we find 2 double rooms including an amazing suite of 90m² with a fireplace, offering a very special rest area. The bathroom measures 25 m² and has been finished with microcement, hexagonal tiles and oak details. Solid wood floor and wooden beams in the ceiling give a warm touch to the entire property. It includes large windows with shutters by Mobila. In the bathroom we find a leather Aston Martin bench as an extra detail. The lighting is very carefully planned with areas of indirect light, providing a warm atmosphere. In the chill out area there is a pool in a Balinese-style setting with a porch of 30 m² and background music system. There is a play area with sand and a barbecue with a bathroom for convenience. The back part of the property has an office, service area, garage and gym. The whole house has alarms with perimeter sensors and 4 cameras.This magnificent property has been decorated and maintained with the utmost attention to detail. 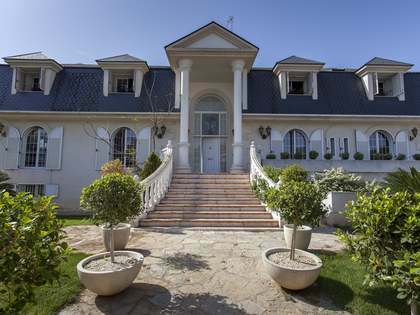 Our team will be happy to show you around this elegant property. La Eliana is a dynamic area situated just 15 km from the city of Valencia. 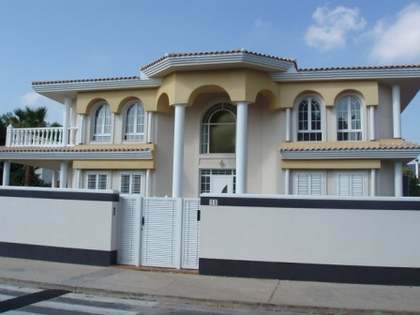 It is characterised by its detached houses with independent plots. The area is noted for its wide range of sports clubs, tennis clubs, gyms, swimming pools and fashionable paddle courts. It also offers numerous amenities, including many shops and restaurants as well as the El Osito commercial centre. The Kinépolis commercial centre is also located just a few kilometres away. The area is home to the Iale international school and 3 equestrian centres.